Not only do the Steelers stay on top of the AFC North and on course for a playoff berth, but they also halt a three-game losing streak with the win today against New England. New England: T. Brady - 25/36, 279 YDS, 1 TD, 1 INT; S. Michel - 59 YDS; J. Edelman - 90 YDS; C. Hogan - 68 YDS, 1 TD. Pittsburgh: B. Roethlisberger - 22/34, 235 YDS, 2 TD, 2 INT; J. Samuels - 142 YDS; J. Washington - 65 YDS; A. Brown - 49 YDS, 1 TD. Who saw this result coming? 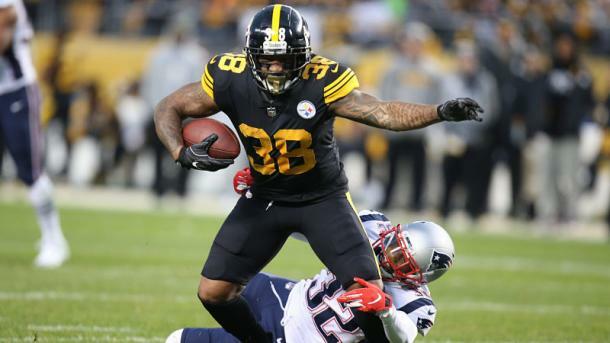 After losing games from a winning position in three straight games, the Pittsburgh Steelers rallied to beat their often victorious nemesis, the New England Patriots. The Steelers stay fourth in the AFC while the Patriots slide into third after the Steelers picked up a huge 17-10 win. The Steelers defense, especially their secondary, has been what most have pointed to as the Steelers weakness. Over the course of the last three weeks, the defense have shown how fragile they can be, giving up big plays in the fourth quarter and allowing the Steelers opponents to not only come back from big deficits but also win games from losing positions. That changed tonight. The Steelers defense reacted to all of that criticism and held Tom Brady and the Patriots to just ten points the entire game. Their own quarterback, Ben Roethlisberger, did not help their cause as he threw two interceptions but every time the Patriots got the ball with a short field, the Steelers defense stood firm. They only allowed one touchdown, on a blown coverage play, and a field goal despite the turnovers produced by their offense and kept the Steelers in the lead for three straight quarters. Brady and the Patriots offense had one of their worst games of the season as they failed to capitalize on what their defense did for them and Brady himself was sacked by T.J. Watt and intercepted by Joe Haden in two momentum changing plays for the Patriots. 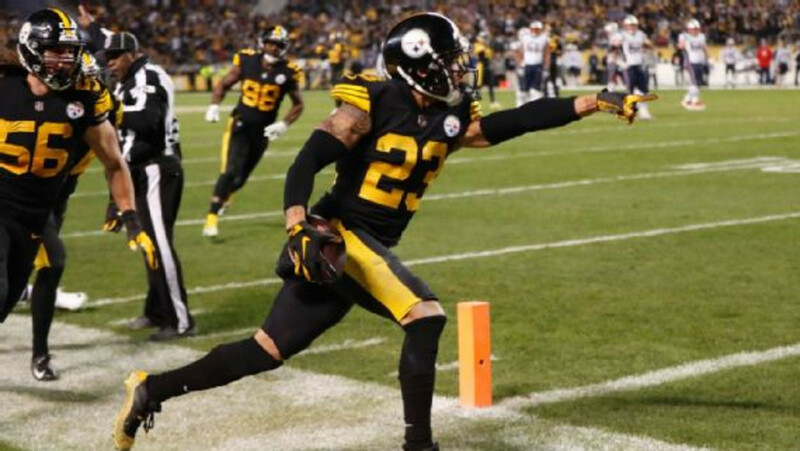 Even with the Patriots offense struggling, they had the chance to tie the game late on but penalties and a big play by Terrell Edmunds in the red zone made sure that Pittsburgh got the win not many thought they would get. 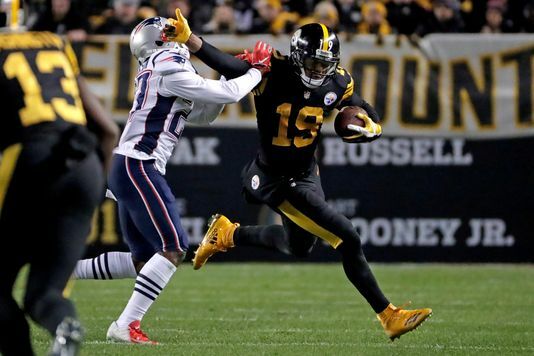 The Steelers coaching staff have spoken highly of Jaylen Samuels and he may not have done as well as hoped last week against the Oakland Raiders but tonight, he justified his coaches' praises against the Patriots. On the first drive of the game, Samuels showed that not having James Conner available right now may not slow down the Steelers anymore. Samuels dashed up the field for 25 yards and kept the Steelers drive going until it ended with five-yard toudchdown pass from Roethlisberger to tight end Vance McDonald. That opening salvo by the running back was a sign of things to come and he continued to dominate the Patriots secondary whenever the ball was handed off to him. Samuels finished his day with a 142 rushing yards and 30 receiving yards, giving him a total of 172 total scrimmage yards overall. Conner is still out with a concussion but if Samuels develops each week, the Steelers may not need to rush Conner back even with big games against the New Orleans Saints and the Cincinnati Bengals coming up. Samuels' performance today shows that the Steelers can maintain a balanced offense and with Conner set to come back in time for the playoffs, Samuels will give the Steelers a great one-two rushing attack if they make the playoffs.